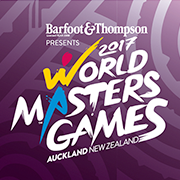 28 sports and 45 disciplines have been confirmed into the official program of the 9th World Masters Games to be held in Auckland, New Zealand for 10 days from April 21, 2017. 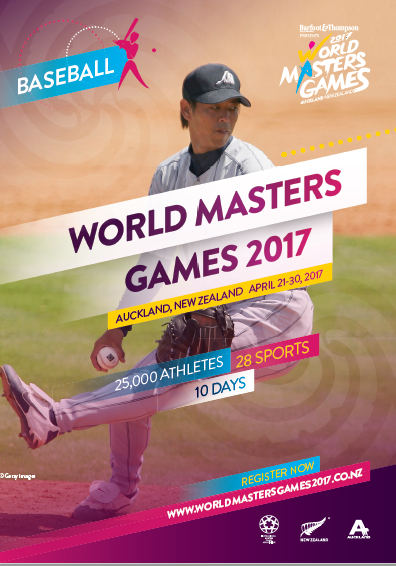 Archery, football, golf, hockey and softball have all reached current capacity. 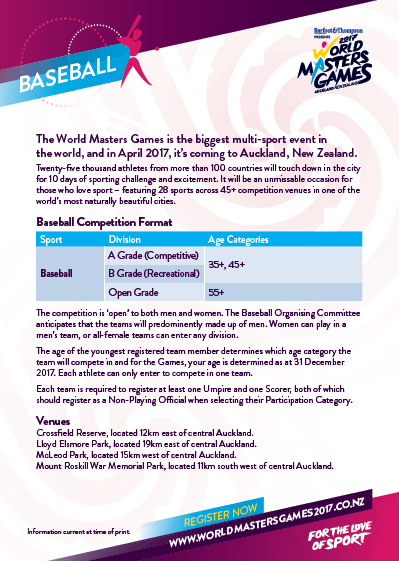 Baseball competition offers men’s only and is inviting participants.